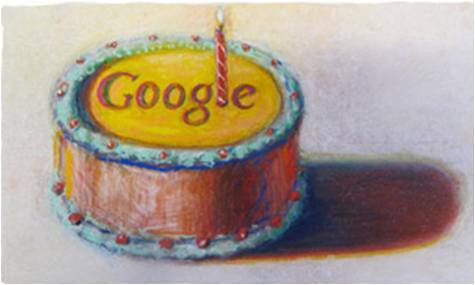 It seems hard to remember when the end of most unresolved conversations didn't end with, "Don't worry, I'll 'Just Google It' and find out ..." Yet it is only 12 years ago today that the search engine was launched by Larry Page and Sergey Brin in California on September 27, 1998. In the 12 years since the Titanic won 12 Academy Awards, the Monika Lewinsky scandal engulfed the White House and the final Seinfield show was aired, Google has had a phenomenal impact on how we shop, bank, research and communicate with the world. It has also had a significant impact on how we work. Need the latest stats for a presentation? "Just Google It" Need to find a printer in your local area? "Just Google It" Need some cool graphics or find out how to get to your next meeting? "Just Google It!". Google is not hard to use (no doubt related to it's phenomenal success) and the more familiar you are with its features (like images, news, maps, advanced search, translator etc.etc. ), the more efficient you can be at finding exactly what need and be able to use the information and tools that Google presents to you, to enhance your work. In the last few years, Wiki's and blogs have become accepted tools for knowledge sharing in organizations, Facebook is now a significant marketing channel and e-commerce is an accepted business platform. No doubt there are many more changes on the way. Four Square, Gowalla anyone? Who knows what will be the next big thing!?! Google's birthday is a timely reminder to keep our skills and knowledge of technology current. Whether you are aiming to keep moving forward in your career or to be excellent at the role you are doing now (or both) it is vital to continually develop your skills. Keeping pace with emerging technology is an essential part of your on-going skill development. It's an opportunity to not only, not get 'left behind' but to 'stand-out' from your colleagues through your understanding of the digital world. And it doesn't matter how young or old you are (your keyboard doesn't know if you grew up with technology or not). 3. Give the new technology a go - it can be a lot of fun! So as we break into a rousing rendition of "Happy Birthday Dear Google" keep in mind that it's important to 'keep up'. 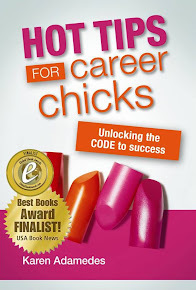 Career Chick Hot Tip: Keep Learning! Caring for people leads to glass ceiling?